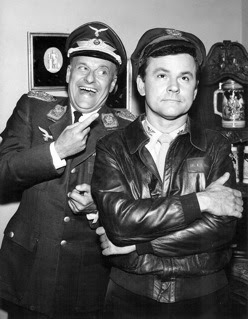 Bob Crane with Werner Klemperer. When Hogan's Heroes first aired, it was met with mixed reviews. People either loved it or hated it. But after six successful seasons and more than forty years later, a great many people around the world still embrace the series. Hogan's Heroes has been called timeless, and it continues to attract a large following of fans. However, there are still those who still find the show distasteful. After all, how can you laugh at war? And more specifically, at the Nazis? During the show's initial run and later when it aired in syndication, Bob Crane advocated strongly for the series. He would address many groups, including former prisoners of war and World War II veterans, discussing the basic principle of the series: for the Allies to win with the help of humor. There are two grave misconceptions about Hogan's Heroes. The first is the belief that it took place in a concentration camp. The second is its unbelievable concept: prisoners who were not really prisoners and Germans who were inept fools. First, and most importantly, Stalag 13 was not a concentration camp. It was a prisoner of war camp, and while conditions were brutal for Allied servicemen being held in such camps, there was a big difference between a prisoner of war camp and a concentration camp. There is no ethical way anyone can make fun of the Holocaust and the atrocities brought on by Hitler and his Nazi regime. The producers, cast, and crew were quick to defend the show's premise and explain its locale. 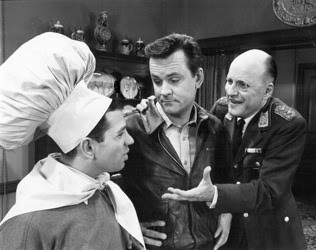 Robert Clary, Bob Crane, and Werner Klemperer. Robert Clary, who played Corporal Louis LeBeau on Hogan's Heroes, is a Jewish Holocaust survivor. From 1942 to April 11, 1945, Clary spent time in Nazi concentration camps, including Ottmuth, Blechhammer, Gross Rosen, and Buchenwald. He lost many of his family members to the Holocaust, and he has dedicated his life to speaking about his experiences and educating others about the Holocaust. Clary has published his memoirs, Robert Clary: From the Holocaust to Hogan's Heroes and also documented his story on film, Robert Clary A-5714, A Memoir of Liberation. 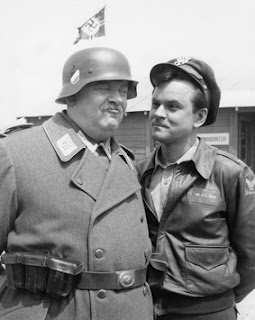 In addition to Clary, many cast members on Hogan's Heroes were Jewish: Werner Klemperer (Colonel Klink), John Banner (Sergeant Schultz), Howard Caine (Gestapo Major Hochstetter), and Leon Askin (Luftwaffe General Burkhalter), as is director Bruce Bilson. Further, Werner Klemperer's grandfather, Victor Klemperer, kept a diary of living in and escaping Nazi Germany: I Will Bear Witness. It was a question asked often of these actors: "How can you play a role in a comedy about the Nazis?" They did it first because it was a job. But secondly, they accepted the job because the series is a parody. A satire. A way to fight back with the cutting edge of humor, making the Nazis out to be bumbling idiots and fools, while keeping the reality of what the Nazis were and the imminent danger of what they were capable of hovering just around the corner. Watch closely. The story lines do not attack the German people, many of whom are seen in the series as members of the resistance/underground who wanted to defeat the Nazis. Sgt. Schulz and Col. Hogan share a laugh. Bob Crane with John Banner. So realistically, could Stalag 13 have existed with an underground network of tunnels and the prisoners ruling the roost? No. But what better way to seek justice than to throw mud in the faces of the Nazis on a weekly basis via a parody? Charlie Chaplin took his shot in 1940 with The Great Dictator, and in 1968, Bob Crane's friend Mel Brooks released The Producers, which has become a Broadway sensation in recent years. In a 1968 interview with TV Guide, Bob Crane explained, "The ex-POWs in Albuquerque, NM, have an association. They had a convention and invited me. A lot of POWs are hooked on Hogan's Heroes. They're our biggest rooters--along with New York Jewish delicatessen owners!" Edith Efron, author of the TV Guide article, continues by saying, "The stupefaction mostly exists in the minds of those who haven't seen and don't want to see the series because they've been understandably traumatized by what they've heard about it--that it's about a Nazi POW camp with 'funny Nazis'... It is, in fact, a classical black-and-white comedy, with a bunch of admirable guys thoroughly trouncing a bunch of contemptible guys. The good guys are maniacally unstoppable individualists who have burrowed the POW camp into a giant Swiss cheese, through the holes of which they conduct jubilant and successive 'great escapes' in the Allied cause. And the bad guys are Chaplinesque embodiments of authoritarian absurdities--a barking, heiling, goose-stepping batch of uniformed robots, pompous asses, bootlickers, toadies, cowards, and dupes. It's a funny, non-offensive show, and its real theme, as Bob Crane sums it up, is: 'Look how clever the Allies are!' Nevertheless, it's still a dubious enterprise to focus laughingly on Nazis at all, and it comes off successfully because of lively scripts, brilliant comedic acting--and Crane." In this 1989 interview with Pat Sajak, Werner Klemperer discusses his music, his acting career, and his work on Hogan's Heroes. He explains the series as a satire and also touches on his friendship with Bob Crane. 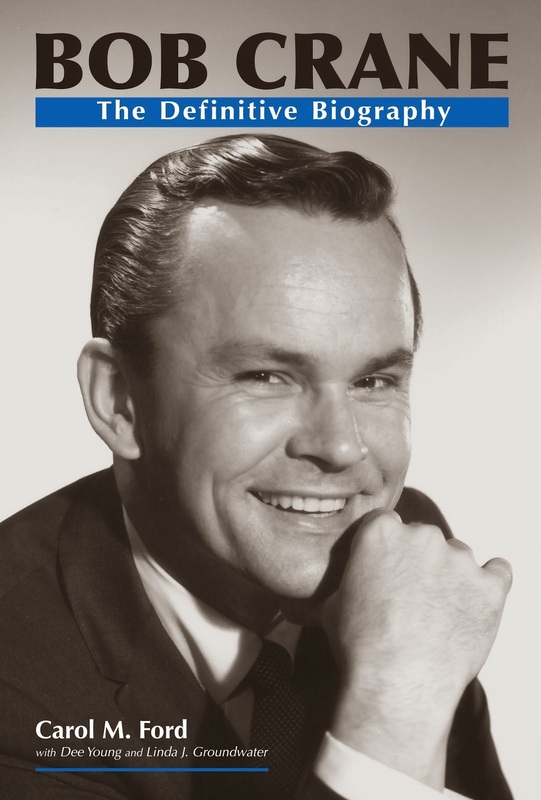 Update: This topic is covered in great detail in Bob Crane: The Definitive Biography. It was not something Bob Crane or the producers, cast, and crew took lightly. Bob himself insisted on a trailer of the series be shown to veterans and former POWs to make sure they would not be offended. They, in fact, loved it, claiming without humor, they never would have survived the war. Many from the series talked with us about the controversy, and their thoughts are included in Bob's biography. Another of our posts examines this point from the view of Rod Serling, who despised Hogan's Heroes. Click here to read the post. Efron, E. (1968, August 3). Think John Wayne. TV Guide (pp. 25-27). Radnor, PA: Triangle Publications.